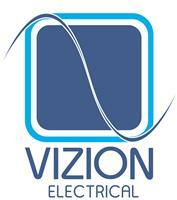 Vizion Electrical - Electrician, TV Aerials/Satellite Services based in Epsom, Surrey. Vizion Electrical is here for your every electrical need! We provide an array of services, of which are carried out to a very high standard. We now offer a 24 Hour Emergency Callout service. Our aim is to leave your home not only safe but leave you fully satisfied with the service received. We love attention to detail and this is what sets us apart. More services may be found on the website, however these are the most common electrical services our clients require. We serve the Surrey & Greater London areas.